Is there a case for revisiting the idea of new cities for Australia in the light of recent population projections and resurgent debate about the implications of a big Australia? By big we’re talking in the order of another 12 million people by mid-century. That’s said to be equivalent to adding a Canberra every year for the next 30 years. But, on business-as-usual projections, three-quarters of that growth will be accommodated in our four biggest cities: Sydney, Melbourne, Brisbane and Perth. According to the Australian Bureau of Statistics, this could mean a Sydney of almost 9 million people and Melbourne of almost 10 million by just after 2050. Efficient and humane alternatives to overconcentrated growth … A massive new-cities program needs to be started NOW. The Whitlam government obliged with a national growth centre program. Undertaken jointly with the states, this produced some positive outcomes. 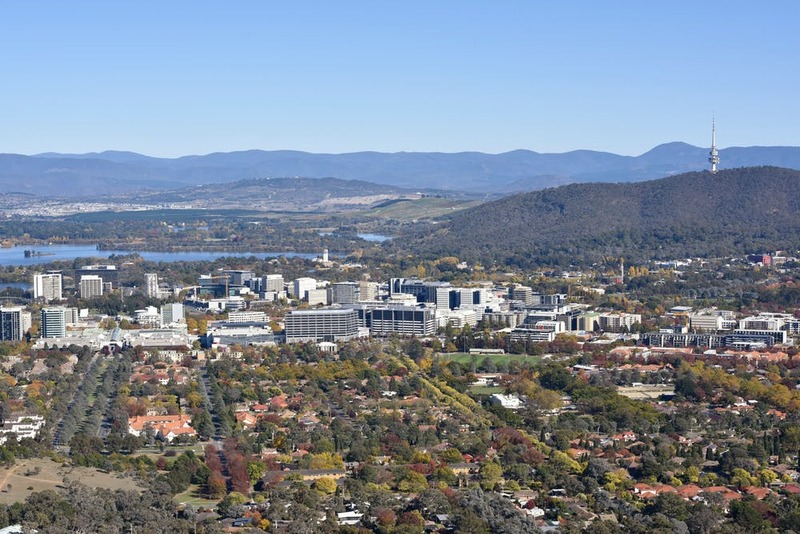 These included an expanded Albury-Wodonga and systematic longer-term planning for Campbelltown in southwest Sydney and eventually Joondalup in northwest Perth. Admittedly there were some duds, such as the tri-city Bathurst-Vittoria-Orange and Monarto outside Adelaide, now a free-range zoo. Funding and enthusiasm trailed off. This more or less reflected trends globally, certainly in the UK, heartland of new town thinking, where the Commission for New Towns was abolished by 1998. But Paris carried on and even the private sector in the US developed new communities, bringing innovation to the design process. Other nations with high population growth, such as China, maintained engagement. Now even Britain is returning to new-look garden cities as models of sustainable growth. So what’s going on in Australia? If Australia had a fair dinkum national urban and population policy, then future patterns of national settlement would be firmly in its sights. But we don’t, and those hopes of a new era under Prime Minister Malcolm Turnbull just haven’t ignited. Instead, we mostly have a scattershot of initiatives, incentives and deals on offer within an overall economistic rhetoric of smartness and value capture. Infrastructure Australia’s recent report, Future Cities: Planning for our growing population, is not much help. It concentrates on the largest cities only, and reiterates the conventional wisdom of their evolution towards higher-quality, higher-density cities. It is worth asking why existing – and presumed inevitable – patterns of growth are the equivalent of a new city, but new urban places are not tabled as viable options. There is nothing approaching a coherent vision of national urban system planning. This scale of thinking has largely dropped out of the policy realm. The rise of design-driven planning has brought many benefits in balancing public and private interest, but these are usually played out at the local scale. Metropolitan planning strategies display more comprehensive thinking but are jurisdictionally constrained. They also inevitably converge on the same suite of aspirations – growth management, housing supply and affordability, employment, density, mixed-use activity centres and transit-oriented development. And, as we see in Melbourne, the progressive liberalisation of urban growth boundaries to allow greater expansion misses opportunities for more radical rethinks. Metropolitan governance is the order of the day, without doubt, but what spatial framework does that sit in? The Greater Sydney Commission is proving its worth in this direction and organising local authorities into a co-ordinated assemblage. But its strategy has almost nothing to say about the rest of the state. There is no spatial state plan. Wollongong, Newcastle, the Central Coast (contributing over 200,000 daily return commuter trips into Sydney) and regional areas lie out of view. Where state planning strategies do exist (such as Western Australia) these tend to be toothless and lacking in vision. Since mid-2017 some bigger-picture thinking has surfaced in submissions and presentations to the House Standing Committee on Infrastructure, Transport and Cities, which is conducting a timely inquiry into the Australian government’s role in city development. The message is that there are no quick fixes, single solutions or optimum city sizes. There is also an awareness that the path dependency of growth in metropolitan areas will ensure their continuing primacy. The agglomeration economies favouring non-metropolitan locations are admitedly weaker but a strengthening narrative relates to the links between 21st-century transportation and settlement. High-speed rail is not just an inter-city technological marvel but – done well to an integrated spatial plan – becomes a nation-building instrument for expanding key regional centres. Long-term thinking compels bigger vision. The 2013 book Made in Australia by Richard Weller and Julian Bolleter attempts this, by daring to imagine a future beyond the conventional wisdom of low-density spread and urban consolidation. Guided by ABS national population projections – 70 million by 2101 – its sights are firmly set on a whole new conception of megaregions and new cities. 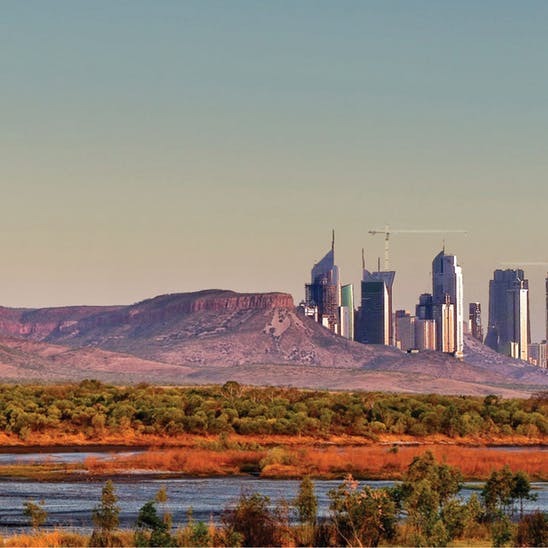 Northern Australia, in particular, comes into view as a new urban frontier. “new cities in cities” (Western Sydney aerotropolis). The contemporary new city idea cannot be a tired rerun of town and country planning policies from the past. These elevated post-war welfare-state British new towns as the benchmark and ignored their many shortcomings as urban environments. The population tap is unlikely to be turned off even if politically leveraged downward. Humanitarian migration is also likely to grow. This means we need to have a debate that is not just about population size but also about its distribution. Australia is a post-colonial country built largely through relatively new, planned cities. We have a capital city famously built from scratch. Australians should be able to engage with a more nuanced evaluation of the role of new cities in delivering the desired triple bottom line of urban productivity, liveability and sustainability. Decentralization is what is needed. Small towns are getting smaller and disappearing. Services are getting harder to get and more distant. The Government needs to seriously look at building and supporting outlying areas. I mean 300-500 km from Melbourne and Sydney where there are smaller towns that are close to transport links, have good airports and are battling. Since the MDBP towns along major rivers have suffered and depopulated. They need a BIG boost by start, getting incentives for industry to move out and then the population will follow.